Golin has relaunched its internship programme with what it says are enhanced benefits and an aim to continue boosting diversity. The agency previously operated two internship programmes: the standard annual internship, and a once-a-year Unternship. The benefits of the latter included a £500 bursary for each intern to spend on activities outside the office to increase their creativity. For the coming year, Golin will offer just one scheme under the Unternship name. It will include the bursary and the option to use the "Golin B&B", which launched in 2017 and sees the agency provide one month’s free rent for all interns and ongoing support with the cost of housing, to help candidates who do not have the benefit of family or other financial support. Last year, the standard internship worked with three candidates every four months. This year the interns will spend longer at the agency – four will take part every six months. Golin said the recruitment process is designed to attract candidates from all backgrounds. To apply, candidates will be asked to demonstrate key values, creativity and characteristics needed to thrive in the industry. Five interns have been part of the Unternship scheme globally since it launched three years ago. Managing director Bibi Hilton said: "We have seen great success tackling inequality through our previous internships, with 40 per cent from BAME backgrounds (up 18 per cent from 2016) and 63 per cent from non-Russell Group universities (up 62 per cent since 2016), but we now want to really turbo-charge our plans to increase social mobility and ethnic diversity in order to achieve our ambition of reflecting the city we work in. Creating the most progressive grass-roots scheme in the industry is a key part of that, alongside changes we’re making to improve diversity at the mid and senior levels. 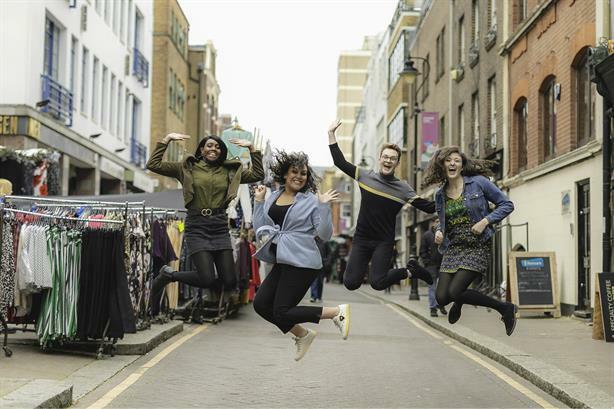 "By combining the creativity of our original Unternship with an exciting new recruitment process and our Golin B&B scheme, we hope to continue to attract candidates from even more diverse and unconventional backgrounds." Golin won the Best Internship Programme at the PR Internships Awards from the PRCA and PRWeek in 2016 and 2017. Last year, the agency extended Golin B&B to all London-based staff.